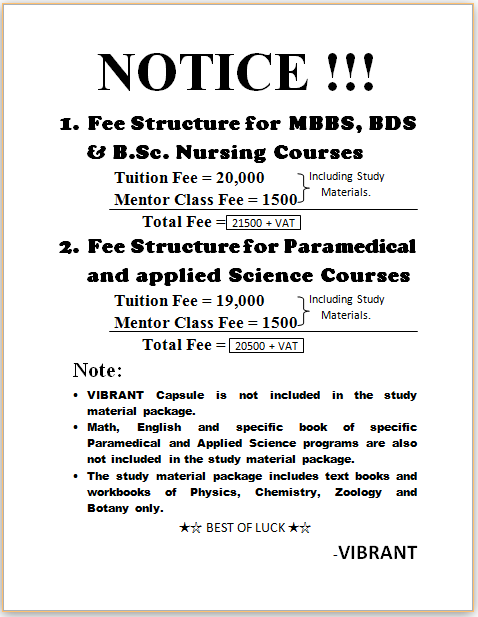 • VIBRANT Capsule is not included in the study material package. • Math, English and specific book of specific Paramedical and Applied Science programs are also not included in the study material package. • The study material package includes text books and workbooks of Physics, Chemistry, Zoology and Botany only.